Reine and Guy Sammut's Auberge La Fenière is a wonderful place to stay in the South of France. It also offers two exceptional dining options. The Bistrot La Cour De Ferme, a casual dining experience that frequently combines great food with absolutely fabulous musical entertainment. If you are lucky the featured band will be HBUS, (Has Been Under Shower) with Guy himself for a nostalgic blast back to the 60's with such hits as the Rolling Stones, "Under my Thumb". The Great Restaurant, a bit more formal, will delight with Guy's wife Reine Sammut a Michelin chef with one star. The rooms are equally marvelous and if you choose one of the Bellevue suites you will find a lap pool right outside your patio door that is to die for! Speaking of to die for, the inspiration for my latest book "To Dye For" is drawn from my good friends at the Auberge. No that is not a misspelling. "To Dye For" is a lighthearted, spy thriller about big business and yes, you guessed it---- hair coloring! 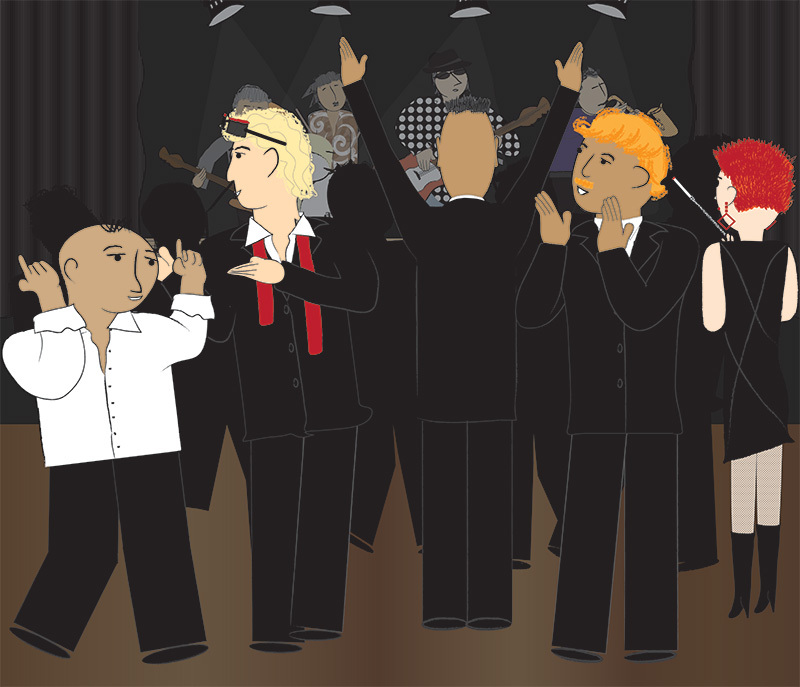 The illustration above is the band featured in my book under the pseudonym AWHFY or "Are We Having Fun Yet"?